Ronna McDaniel, chairwoman of the Republican National Committee, slammed House Speaker Nancy Pelosi for trekking out to Hollywood for the Grammys rather than staying in Washington to do her job as speaker of the House and negotiating an immigration deal that funds President Donald Trump’s planned wall along the U.S. border with Mexico. 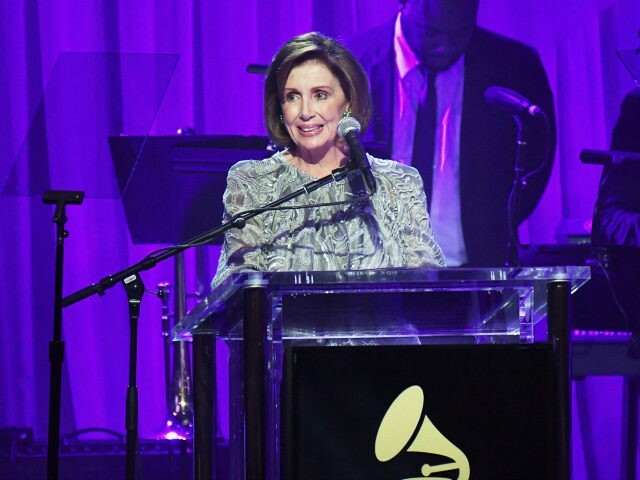 Page Six of the New York Post reported that Pelosi is among the guests expected at the annual Clive Davis pre-Grammys gala at the Beverly Hilton. The star-studded gala is expected to have an A-List guest-list, but Pelosi’s attendance there at the February 9 gala will come just a few days before the government funding deadline on February 15. The government just reopened last week, for only three weeks, after the longest shutdown in history, resulting from Democrats’ refusal to fund Trump’s border wall. Republicans clearly see Pelosi’s decision to put ritzy entertainment world elites ahead of American citizens’ safety and security as a weak point politically for the House speaker, as evidenced by McDaniel’s decision to slam Pelosi in this Breitbart News exclusive. The use of the messaging about illegal alien crimes committed against American citizens and about the effect of drugs pouring across the border is particularly effective language in this fight. Pelosi surged back into the speakership at the beginning of this year after an eight-year hiatus when Democrats retook control of the House majority in the 2018 midterms. She has been riding high since reclaiming the gavel, throwing political haymakers at Trump and even rescheduling the State of the Union address as part of her effort to box in the president politically.